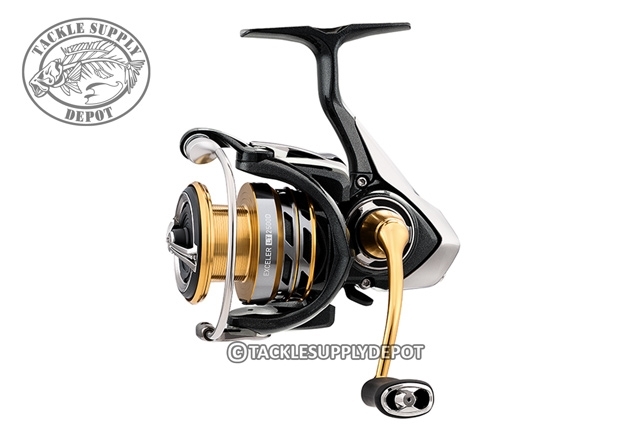 A smartly priced Reel that can match the performance of many more expensive models. The Carbon Light Material Housing was designed with the LT concept of light but tough, in mind. The carbon based material is light yet very strong making the Reel easy to manage over the long haul. A machined aluminum handle is a comfortable, strong connection to the main gear of the spinning reel. The Air Rotor and Air Bail designs reduce the weight, yet efficiently disperse the pressure of the line over the bail to the whole part. The Reel is extremely smooth utilizing 5 ball bearings and 1 roller bearing to maximize performance. In a world of you get what you pay for, the Daiwa Exceler LT series of Reel gives you more design technology and concept than Reel twice the price.